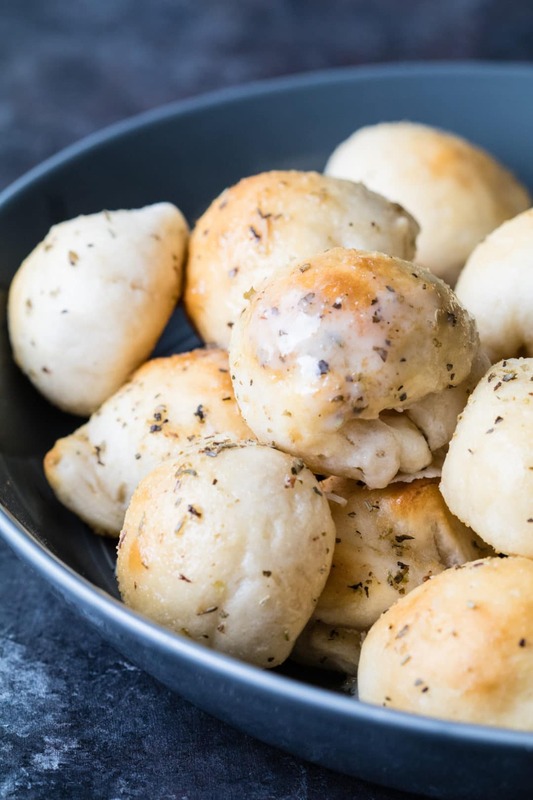 Everyone deserves a heavenly bite of warm cheesy goodness and I am giving you full permission with these Garlic Herb Cheese Bombs! 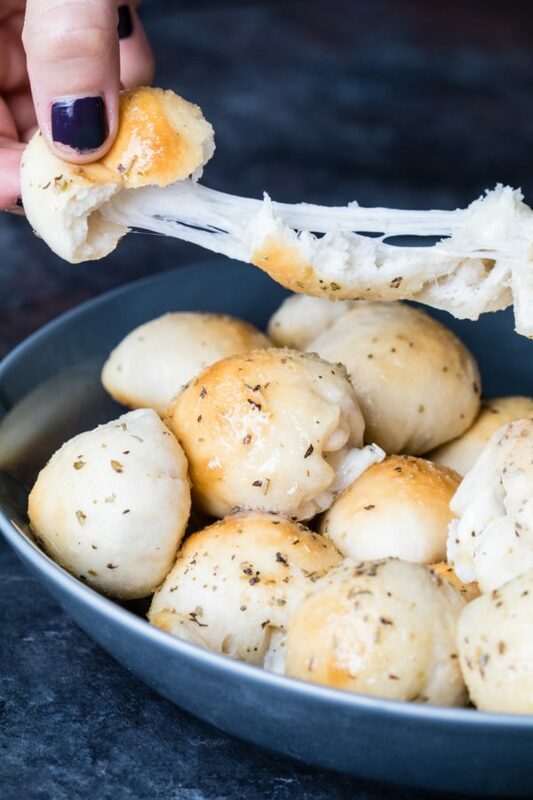 Just one of these garlic herb cheese bombs has 58 calories and 5 grams of carbohydrates – enjoy a few with your meal or for an appetizer instead of typical garlic bread! Let’s get cooking! Print off the Garlic Herb Cheese Bomb recipe below and let me know in the comments what you think! Enjoy! 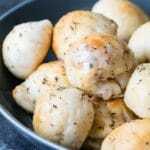 GARLIC HERB CHEESE BOMBS are legit the bomb! The perfect blend of cheese, herbs and gooey-ness! Add it to your list of must make appetizers for guests! Separate biscuits and cut each biscuit into 4 sections. Slightly flatten each section just enough to place a small cube of cheese in the center. While the biscuits bake...whisk melted butter, Italian seasoning and garlic powder together. When the biscuits are removed from the oven, immediately brush with butter mixture. May serve with marinara or dipping sauce of choice. 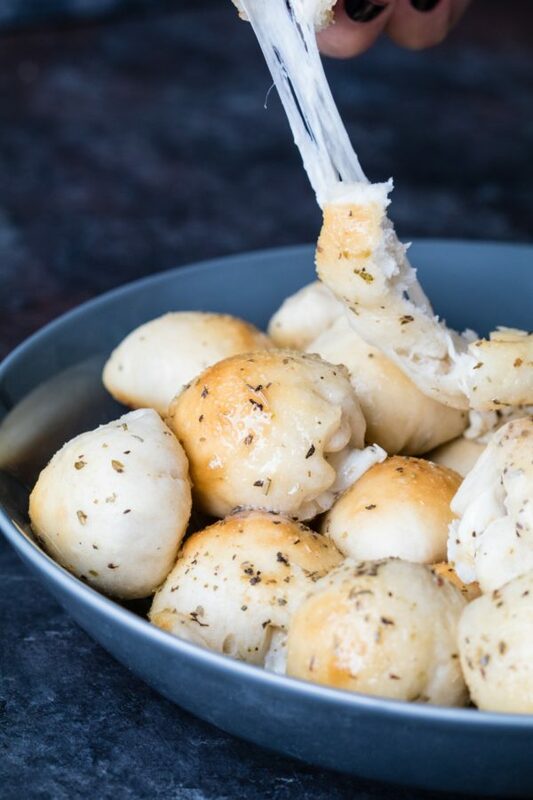 PIN THESE GARLIC CHEESE BOMBS FOR LATER! Have you ever made these in the crockpot? Thank you so much! I love easy options! These are the perfect little appetizers I’m going to bring to my in-laws holiday party this weekend! My Italian family is going to LOVE these! Oooo yay! Let me know what they think 🙂 Thank you! If there was one food I would eat for the rest of my life, this would be it. Garlic + cheese + bread = heaven. SO GOOD! haha TRUTH!!! So addicting too!! Thank you! !